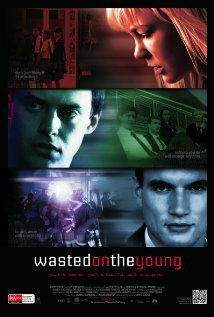 Review: Wasted on the Young is an intense movie in the vein of Animal Kingdom but with a subject matter most similar to Brick. It is well crafted and the production value seems high for the tight budget they were undoubtedly restricted to. The film is about a group of young people in an Australian private school whose lives are changed due to a horrific event that takes place at a wild party at the "alpha male" of the school's house. It is a very intense and engaging movie but unfortunately the ending was a bit of a let down and didn't really fit with the rest of the film. The absence of any adult or authority figures in the movie is telling and the interaction between the perpetrators and victims is at times very disturbing. It is a very interesting movie and it is a shame the ending wasn't as good as I hoped it would be but it well worth spending the time and money to see this film.